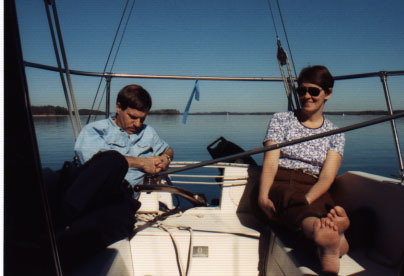 We continued sailing in 1994-96, but didn't take as many pictures. 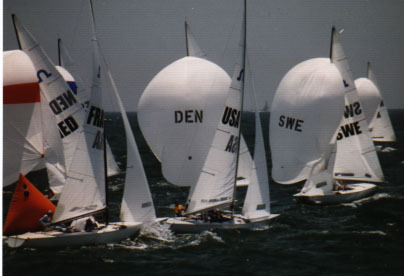 We did, however, make it to the Olympics. 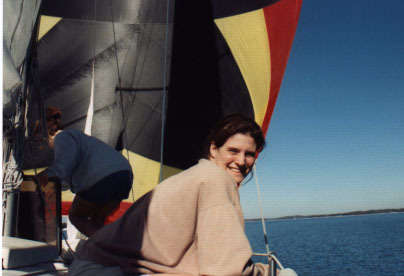 Joe's sister, Laura, flying the spinnaker on the C&C 25. 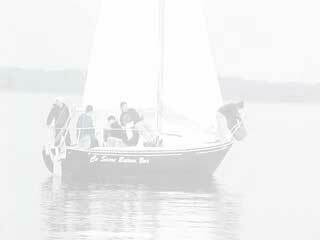 Sailing with Joe's parents on a C&C 25 at Lake Lanier. 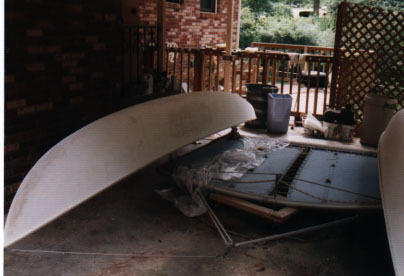 Summer of 1995, we bought our own Hobie for $250 and began repairs. 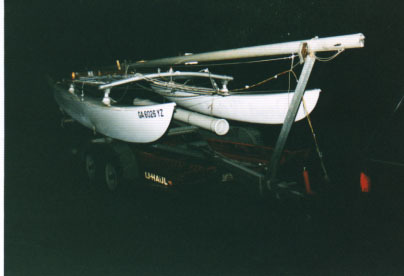 Our Hobie trailer died in the middle of the night coming back from Fort Walton Beach. We needed to rent a car trailer to pull the Hobie trailer up on! November 1995. 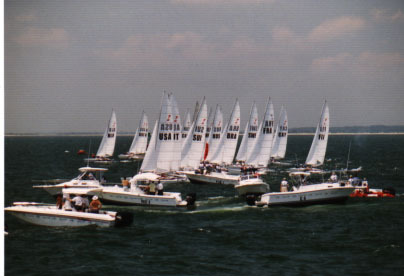 Tornado Catamarans during the Olympics in summer of 1996 in Savanah, Georgia. 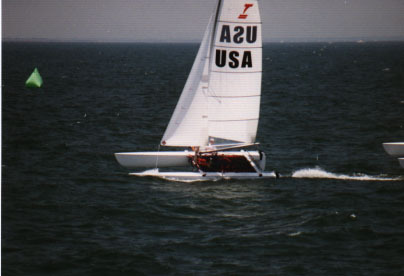 Tornado Catamarans during the Olympics. 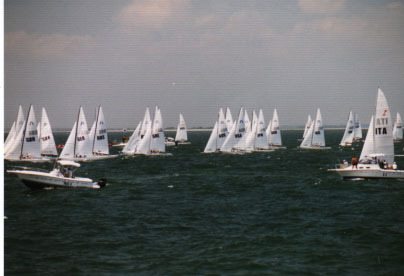 Soling 27's rounding a mark. 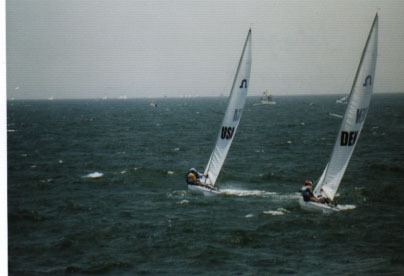 Hot pursuit in a Soling!